It has been over 16-years since I was an athlete training at the Olympic Training Center. When I left Colorado Springs all those years ago, I assumed that my days of weightlifting were over. I was returning to North Carolina in an era where Olympic weightlifting facilities and coaches were scarce. I was leaving a sport that I loved to be by my dying father, and for that I have no regrets. Around 2012, I made my return to weightlifting both as a Master lifter and a coach. It was more of a side job at first as strength and conditioning was my main source of income. I love strength and conditioning, and I love working with athletes of all sorts. 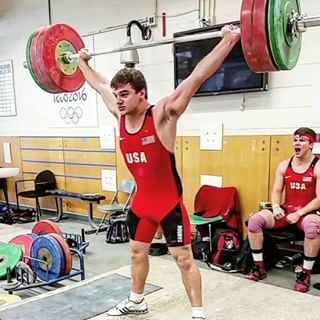 However, Olympic weightlifting is a great way to prepare all athletes to be more mobile, produce more power, and improve their kinesthetic awareness. Olympic weightlifting slowly became a bigger part of our program. In 2013, I took two athletes to the American Open: Rebecca Gerdon and Jacob “Rabbit” Wyatt. It was one of the greatest experiences of my life. On top of coaching my athletes, I met Mike Bledsoe of Barbell Shrugged, podcast with Christmas Abbott, Jon North, and Mike Bledsoe, and I had just an incredible time. I knew at that point that I wanted to make a bigger impression on the sport of weightlifting. I had already proven my abilities as a coach in strength and conditioning sending hundreds of athletes to Division I programs, coaching 3 NFL Athletes, and three NBA out of a small town in North Carolina. I also had a powerlifting team that was undefeated in all local and National events. A lot of people would say that coaching Olympic weightlifting is different than strength and conditioning and powerlifting, and they would be right. However, the one thing that I brought with me to weightlifting was my ability to win and produce top-notch programs. That characteristic is transferable to anything one does in life. A person that produces will produce no matter what they do in life as long as they have a passion for what they are doing. In 2014, I started coaching Jon North, and I was a co-host on Jon’s podcast “Weightlifting Talk”. I will forever be grateful to Jon because that time period helped to reintroduce me to the masses back into the sport of weightlifting. My team started to grow, and my heart once again belonged to weightlifting. I joined Team MDUSA later in 2014, and by the 2014 American Open I was responsible for coaching over 30 athletes. Some people like to throw around the term 10x. Well that was a 15x improvement. By 2015, I was coaching some of the best youth, junior, and senior athletes in America. Winning medals at National events were becoming commonplace. At the 2015 American Open, I entered my first Team to battle for the best team in America. After only being back in the sport for three years, my team became the second best team in America. We beat teams that have been around for decades, and at that point I had established my legitimacy as a coach. Also in 2015, I sent two athletes to the Junior Pan Ams and two to Junior Worlds, so 2015 was definitely my breakout year as a coach. Now 2016, I find myself Head Coach of Team USA Men’s Junior Pan Am Team. 4 of the 8 Men on the team are from Team Mash Mafia. I have more people qualified for Nationals than any other coach in America, and our team as a whole has become a powerhouse. I am just one of three International Coaches on the team. Don McCauley, my mentor, and Chris Wilkes join me in coaching a treasure of a team. I tell you all of this to give you a little background. As the Head Coach of the Junior Pan Am Team, I was asked to coach a 10-day camp at the Olympic Training Center where all the Juniors on the team and the alternates would meet up and prepare for the 2016 Junior Pan American Games in El Salvador. The thought of returning to Colorado Springs as a coach overwhelmed me emotionally. I thought that I had left my love of a sport behind all those years ago, and now I was receiving something that most never get, a second chance. 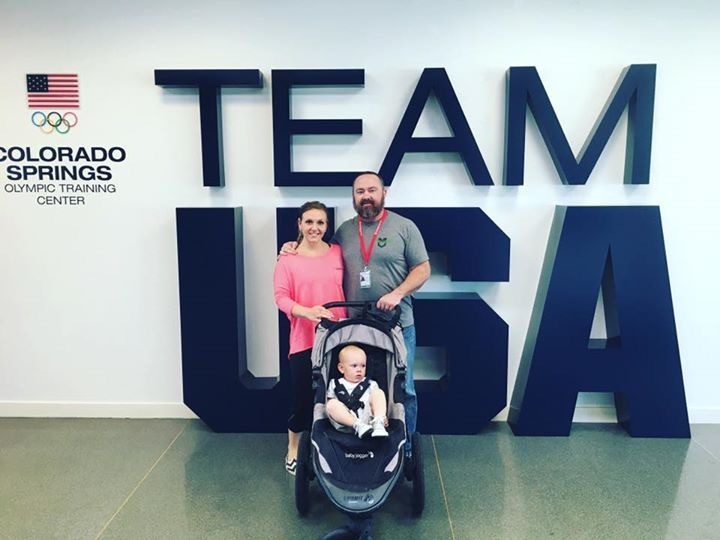 Yesterday, I brought my wife, son, and in-laws to the Olympic Training Center to show them where I would be coaching. The sight of the complex brought a tear to my eye. My heart started pounding as I realized that I still had the same excitement and passion for the sport as when I was an athlete here all those years ago. Yesterday, I coached my first session, and I realized that I am living an absolute American Dream of a life. If I were a billionaire, I would be doing the same exact thing. When you can say that, you will know that you are right where God wants you. •	We have a chance to do something special and to inspire athletes all over the country and world. •	We have a chance to inspire all people that great things are possible with the right work ethic and mindset. •	“Limits” are a make believe thing that we set on ourselves. They aren’t real, and they shouldn’t be looked at as real. •	Our capabilities lie in what we believe is possible. If you shoot high, you will end up high. If you shoot low, you shouldn’t even be in the game. •	Making a team including the Olympics is just part of the process. As athletes our job is to win those competitions. My boys hear this philosophy all the time. My goal is to bring it to all the athletes that I come into contact. My ultimate goal is to make America great as a team not just my team. I want to bring a different way of thinking to this sport. Now that I have back my beloved sport, I will never let it go.